You can renew a space by having an old or unused hearth removed. Neglected, unused fireplaces can be a real eyesore for any space. And, after the fireplace is removed, hearths leave behind deeply embedded concrete slabs. GJP Floor Sanding in Tunbridge Wells can help you make your space look even better by removing the concrete or stone hearth and fill in the space with floorboards that blend in so well you’d never know there was a hearth to begin with! 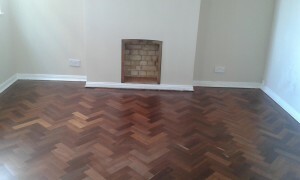 Give GJP Floor Sanding Tunbridge Wells a call for advice and tips on hearth removal. Our team of experts will help plan your removal or give you advice on how to stagger the project out if it’s a part of a larger project. Any other renovation work that requires under floor access should be completed before the hearth removal, as sanding and refinishing the floor will be the last stage. First, our team of floor sanding experts carefully excise all aspects of the original fireplace and hearth. Once all of the stone or concrete is removed, new joists are added to support the floorboards which will be used to fill in the gaps. Replacement floorboards will either be new or reclaimed, and our Kent flooring experts will ensure they perfectly match the existing floor. After gap filling, the hole where the heart sat will be virtually invisible. GJP Floor Sanding Kent has years of experience in removing hearths from all types of properties, including listed properties and heritage sites. During the removal, adjacent floorboards are left undamaged, and new boards are added in to fill the hole left by the hearth and are made to match the existing floor. When finished, you won’t find a trace of the original stone hearth. If you have newer floors, GJP Floor Sanding Kent will go through our stock and / or order new floorboards to fill the gap where the heart used to be (click here for more information on our floor repair process). If your floors are a bit older, our experts will scour reclaimed wood boards that matches / can be made to match your existing floors. Once the hearth is gone, our team will sand and refinish the entire room, gap filling between the boards, and topping with a stain. 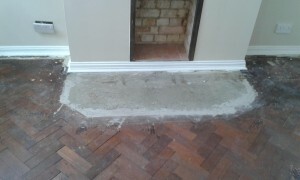 This will ensure the space the hearth occupied is virtually seamless from the rest of the floor.